I get asked this question almost on a daily basis so I thought I would just give you some advice and a few tips to guide you. 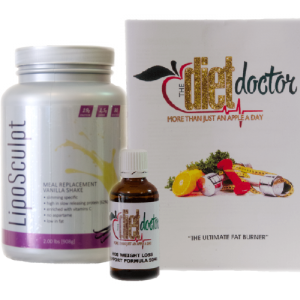 Whilst you are on the HCG Diet you will want to keep track of your progress. To confidently keep track, you need to be weighing and measuring yourself correctly. It’s very important to be weighing and measuring in a consistent manner in order to get the most accurate results. Weighing is relatively simple just jump on the scale and Voila the weight will have dropped, if you have done your bit… but make sure you are following a consistent routine. It’s not just a matter of jumping on and off any scale. While on the HCG Diet you should be weighing yourself daily and we recommend using a quality digital scale, which makes it so easy to get an accurate reading. Weigh only in the morning after using the bathroom and before eating and drinking anything. Try weighing at the same time daily. Step on the scale, keep your chin up, stand up straight wth your hands at your sides, breathe out and look down to see the number. Do this each and everyday and you will get consistent results and remember to write down your weight after stepping of the scale. As you know the weight loss is not only excellent on the HCG Diet, the centimeter loss is phenomenal. When measuring it’s just as important to be consistent, it’s however a bit trickier to measure correctly. The best way is to try always measure standing in front of a mirror, so you can see the tape is level. Wrap the tape across the. Fullest part of your chest. Make sure the tape measure is level around your bust. Are kinda tricky, as you need to wrap the tape measure around the largest part of your arm. Don’t pull the tape measure tightly wrap it loosely around your arm but you need to make sure you do it in the same spot of your arm everyday. Your waist is between your hip bones and the bottom of your rib cage. To make this measurement easier just wrap the tape measure around your belly button. Wrap the tape measure lightly around your waist, check it’s level around your body. It should fit so that it’s not tight or digging into the skin but not too loose that it is moving around. With bare feet stand flat on the floor feet apart so that you can wrap the tape measure around the largest parts of your thighs. HIPS – Easy stuff, wrap the measuring tape, level around your hips. Do yourself a favour, weigh and measure consistently and correctly and you will be able to not only feel but see the incredible results you have achieved. Keep a note or record of your results – you will be so glad you did!! ← What is an Apple Day On The HCG Diet?